I figure the logical follow-up post to our name and logo post below would be to showcase a portion of our identity set, the business card. I've been dying to incorporate spot UV into a business card design for a while and finally got to do it with our Qi business cards. 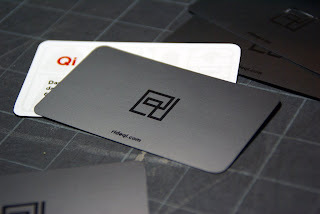 Originally we were planning to have both sides black, but upon realizing that the paper stock used was white, we thought the white edge would be too distracting in an all black card. So as you can see below, we left the back of the card white. 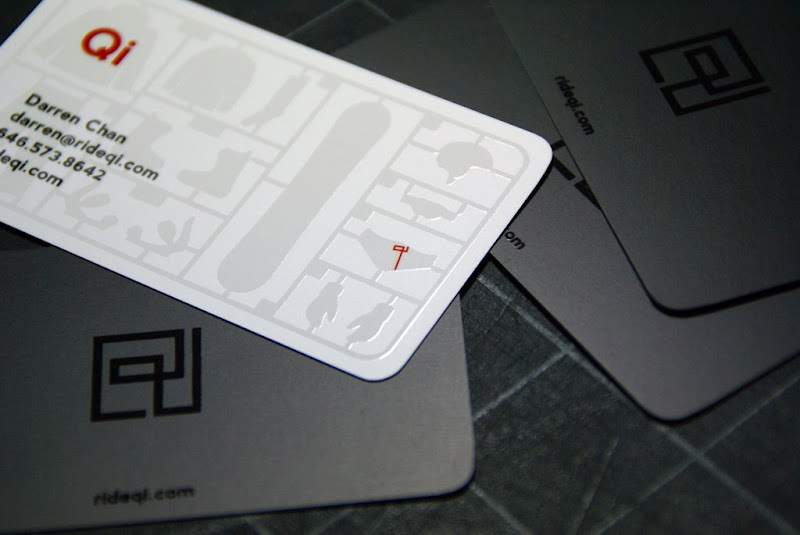 The spot UV layer on the back is the same 'model kit' you see on the index page / place holder of our website. Many thanks to all our friends who contributed their comments and suggestions!